Built in 1889, by Willamette Iron and Steel Company of Portland, Oregon (hull #1) as the Wallowa for the Oregon Railroad and Navigation Company of Portland, Oregon. 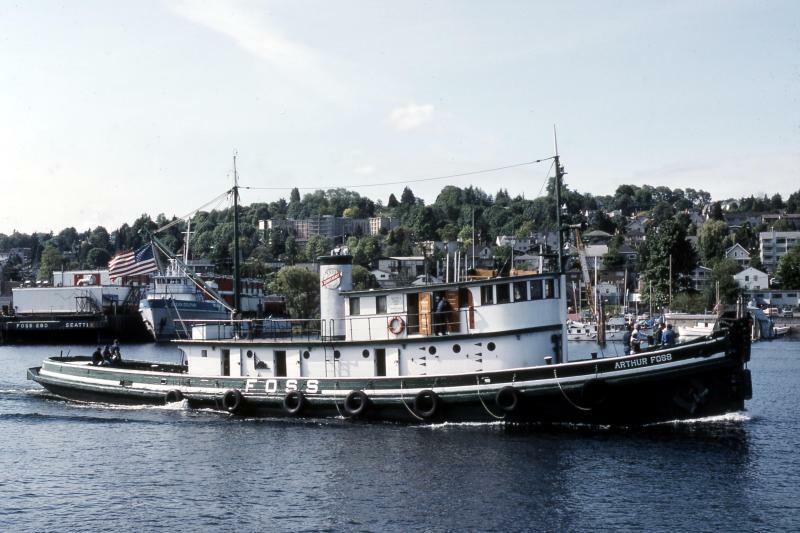 In 1929, the tug was acquired by the Foss Launch and Tug Company of Tacoma, Washington. Where she was renamed as the Arthur Foss. In 1933, the tug was acquired by Metro-Goldwyn-Mayer movie studio of Beverly Hills, California. Where she was renamed as the Narcissus. And, was featured in the 1934, MGM film "Tugboat Annie," with Wallace Beery, and Marie Dressler. In 1934, she was retuned to the Foss Launch and Tug Company of Tacoma, Washington. Where she was renamed as the Arthur Foss. In 1942, the tug was requisitioned by the United States Navy. Where she was designated as the YT-335 (Dohasan). In 1942, she was the last vessel to escape from Wake Island in January 1942. Prior to Japanese forces attacking and capturing the island. 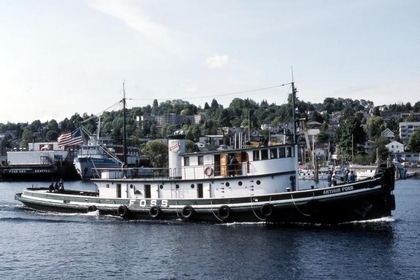 In 1946, she was returned to Foss Launch and Tug Company of Tacoma, Washington. Where she was renamed as the Arthur Foss. 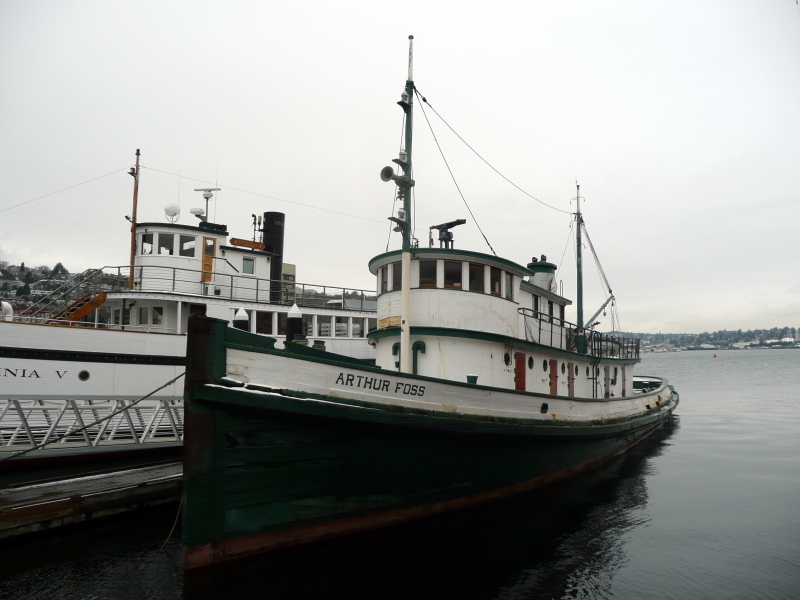 In 1970, the Foss Launch and Tug Company donated the tug to the Northwest Seaport Museum of Seattle, Washington. 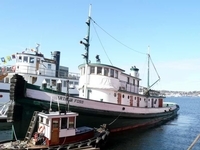 In 1981, the tug was restored to operating condition. And, was moored at Lake Union Park in Seattle, Washington. The Maritime Heritage Center's berth for visiting. She travels the Puget Sound with a volunteer crew taking part in various maritime festivals. In 1989, she was declared a National Historic Landmark. 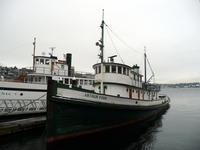 The Arthur Foss is the only known, wooden hulled, 19th century tugboat still afloat. And, in operating condition in the United States. Powered by a single, six-cylinder, diesel engine. She is a single screw tug, rated at 700 horsepower.